Our company provides garage door spring repair, replacement and more in San Diego. Here is a quick breakdown. If your garage door doesn’t make it all the way up when opening or, alternatively, slams with a heavy thud then you may want to check your garage door system for broken springs. The role of the springs attached to your door is to help support the weight of the door during use. The springs are either used to pull the weight up or to gently let the door close. There are two common kinds of springs known as torsion springs and extensions springs. Extension springs for garage doors absorb energy between two pulling forces, such as the opener and gravity. In garage doors, it helps relieve the weight of the door as it is being let down. With use and time, extension springs can lose their resistance and ultimately their usefulness, so be sure to replace garage door extension springs when needed. A torsion spring is what carries the weight of the door while it is rising. If the torsion spring is not working then your door may have a difficult time going up and make loud noises along the way. The correct fitting of the spring is important to avoid accidents. 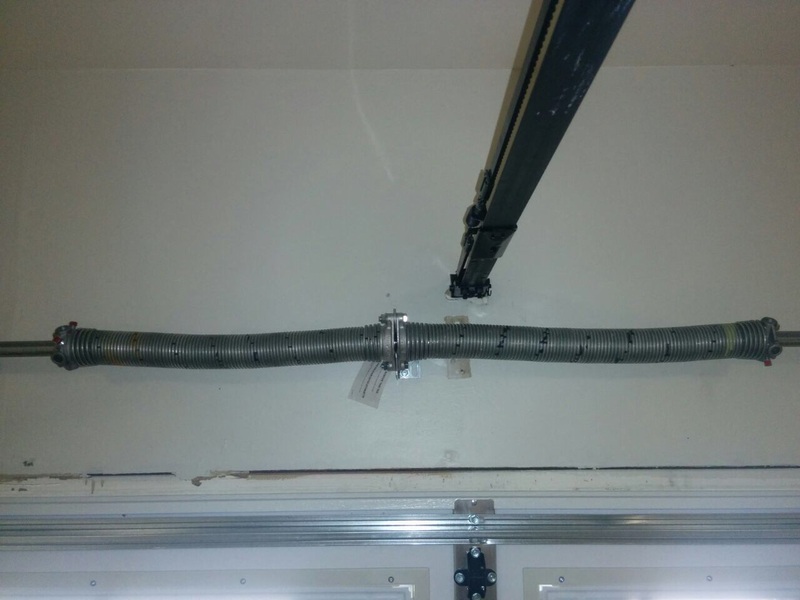 It is best to hire our professionals for garage door torsion spring repair.